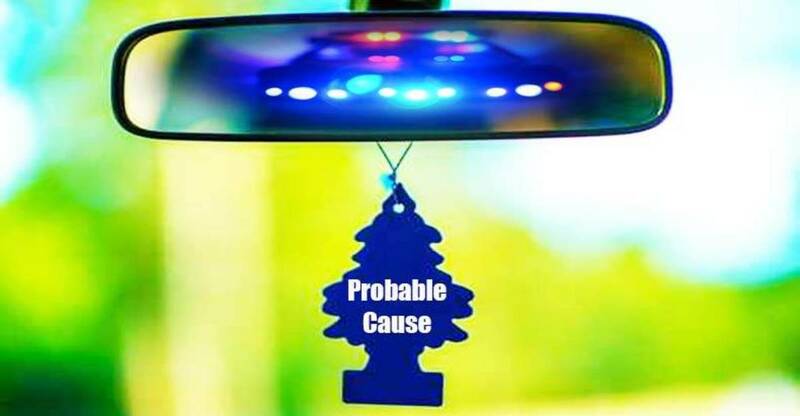 Kingsville, TX — Last Thursday, the Fifth Circuit US Court of Appeals ruled that it is suspicious for a vehicle to have air fresheners, rosaries, or pro-police bumper stickers. The ruling stems from a 2011 Texas court case in which a couple was pulled over for having rosaries hanging from the rearview mirror, as well as a few air fresheners, and a DARE sticker on the back of the vehicle. Nohemi Pena-Gonzalez was pulled over by Police Officer Mike Tamez when she was driving just 2 MPH over the speed limit. The officer did not pull her over because she was speeding, but because he suspected that she was trafficking drugs, and found the contents of her vehicle and the sticker to be suspicious. Eventually, the officer questioned her husband, Ruben Pena-Gonzalez, who agreed to allow the officer search to their vehicle. The officer did not find any drugs, but did find a large sum of cash that he confiscated, and then sent Ruben Pena-Gonzalez to jail. Recently, the case was taken to the Court of Appeals, where it was decided that Officer Tamez had reasonable suspicion to detain the family and ask to search their vehicle. This ruling upholds the idea that police officers can profile and detain people who aren’t actually committing any crimes. Police already profile people according to a number of different factors, and now they have confirmation that their tactics are legally acceptable.